Software company Sedona Systems has launched its NetFusion multilayer applications platform. Although the software has already been commercially deployed by more than one Tier 1 service provider, the company had neglected to formally announce the product, according to sources at OFC 2017 in Los Angeles. Sedona hopes to announce some of those customers in the coming months. NetFusion is an independent, software-only environment that connects to network equipment and controllers from all the major hardware vendors. The software automatically discovers the topology, traffic, and services across both the optical and IP/MPLS layers and the connections between them, for all equipment on the network regardless of vendor. This allows service providers to start to reap the benefits of network convergence and software automation over their existing infrastructures. “Everyone wants to deploy software-defined networking and automation, but you can’t do that unless you have a network you can see,” said Daniel Tardent, who recently joined Sedona as vice president of marketing. NetFusion takes information from the network elements and controllers and uses this to generate a complete view of the network that is easy to understand and control. Sedona describes it as “the foundation of a new approach to network management and automation, based on actual network data rather than assumptions and estimates”. Currently the planning teams in both the IP and optical departments tend to buffer capacity in their networks to guard against uncertainty, and that’s simply capacity and money wasted, says Tardent. In its work with service providers, Sedona found that between 55 and 75 per cent of links were operating at less than 20 per cent of their peak capacity. 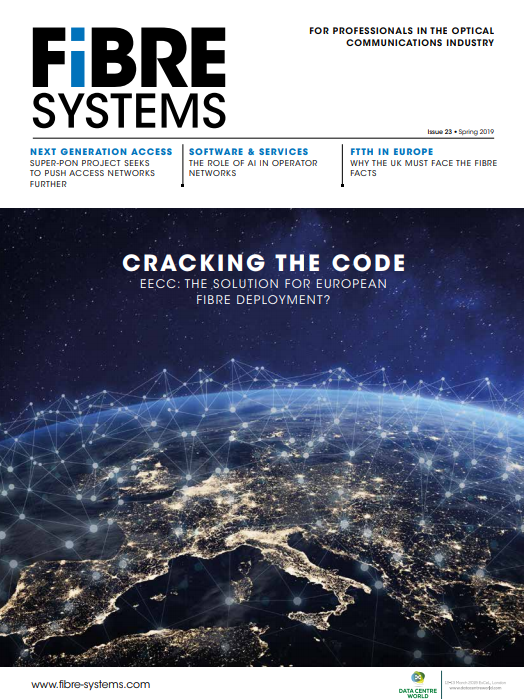 With improved visibility and full understanding of dependencies and cross connections, networks can run at higher utilisation levels and operators can defer costly expansions. A five per cent increase in port utilisation could save those service providers $180 million over three years, the company claims. Service providers can also use NetFusion to quickly identify congestion, risks, and sub-optimal paths across their networks, such as situations where the working and protect paths are on the same physical fibre. NetFusion also delivers reliable inventory assurance, improved resiliency, and enables more efficient maintenance and repairs. The software also provides “a realistic and phased approach” to network automation, the company says. The discovery and reporting functions can be deployed now, with automatic optimisation and restoration applications added later in networks based on flexible, programmable optics. Sedona has demonstrated the product in advanced network automation applications such as multilayer restoration, optimisation, and bandwidth on demand. Last year, NetFusion played an important role in the OIF’s SDN Transport API Interoperability demonstration, where, as the master controller, it orchestrated services across multiple optical domains. NetFusion 1.3 is generally available now.